Compared to DAB, the DAB is the upgraded version to provide better operation and greater performance in receiving signal. The automatic tuning also makes it quite convenient for car drivers on the way. AD310 Function Ancel AD310 Features：. 1 x AD310 Scanner main unit. Supports all legislated OBD protocols Reads & clears trouble code. Turns off check Engine light, clear codes and resets monitors. Ancel BA101 Automotive Load Battery Tester Digital Analyzer Bad Cell Test Tool. ANCEL BA101 Automotive 12V Vehicle Battery Tester. ANCEL BA101 Automotive 12V Vehicle Battery Tester Benefit ANCEL BA101 Automotive 12V Vehicle Battery Tester Function. AutoChart Zero Lines Map Card. AutoChart: The starting point to your mapping adventure. Simply export the map from the PC program to the extra Zero Line Map Cards and you'll have multiple charts of your favorite fishing spots ready to view on a range of compatible Humminbird fish finders. Vw radio code by serial number. No VIN required. 8.00 bis 18.00 Uhr. Unser automatisches System wird das gleiche für Sie tun. Werksversiegelte Gegenstände: Wenn sie geöffnet und manipuliert wurden, außer für bestimmte. Sachschaden: Der Gegenstand ist zerkratzt, zerrissen, nass, verbrannt, geblasen, Anzeichen für Missbrauch und fehlerhafte Installation. These guys are fraud. Vw radio code by serial number. it is USD 12.99. The ELM327 is the latest PC-based OBD2 universal automotive diagnostic test tool. It supports all OBD-II self-diagnostic systems and their compatible communication protocol detection. The ELM327 is a USB interface that connects to the laptop's USB interface via the RS232 conversion protocol. If you want to interlock function, the jump cap inserted into the row of needle on the line. If you want to unlock the. Interlock type (L): 4-way relay switch between each other work, when the A relay and lock, BCD are corresponding. Vehicle systems covered: ME-Motor electronics, CDI-Common Rail Diesel Injection, ETC-Electronic transmission control, ESM-Electronic selector module, SBC- Sensotronic Brake Control, ESP-Electronic stability program, BAS-Brake assist, Suspension, TPC-Tire pressure monitor, Airbag, CGW-Central gateway, EIS-Electronic ignition switch, OCP-Overhead control panel, UCP-Upper control panel, XALWA-Xenon headlamp, HRA-Headlamp range control, ATA-Anti-theft alarm system, IC-Instrument cluster, ASSYST-Active Service System, SCM-Steering column module, EPS-Electrical power steering, PTS- Parktronic system, EPB-Electric parking brake, COMAND/AUDIO, CD/DVD, TV tuner, CTEL-Cellular telephone, DCM-Door control module, ESA driver-Electric seat adjustment driver, ESA passenger-Electric seat adjustment pass. The color TFT display and built-in speaker with 3 led indicator allows quick and easy vehicle system scanning. KONNWEI KW850 can be updated via the Internet ensuring its compatibility with newer vehicles. Suitable for: Garmin eTrex 10, 20, 30, 20x, 30x. Genuine part Garmin. The latest Foxwell BT100 Pro 12 Volt Battery Analyzer from Foxwell is dedicatedly developed to test 12V regular flooded, AGM flat plate, AGM spiral and gel batteries as a low cost solution. 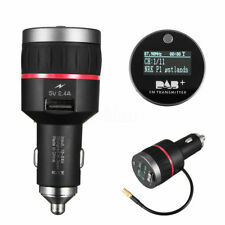 It provides a quick, easy and affordable solution for technicians to check battery health and faults. Skoda radio code by serial number. SKZ.=CODE for all skoda models. Renault / Dacia. The device is connected to the 24 pin socket (marked red on the picture). Vivaro 2014 –. Model years. Opel / Vauxhall. Trafic Combi 2013. Clio Estate 2013. Captur 2013. Ancel A202 car trip computer is a small car instrument with powerful functions, which is especially suitable for vehicles without a tachometer, an engine temperature gauge and fuel consumption display functions. Ancel A202 Smart OBD OBD2 Gauge Scan Tool Features : 1. display and monitor vehicle battery voltage , 2. generator charging voltage , 3. offering vehicle over speed alarm, 4. high engine coolant temperature alarm and monitor fule consumption and brake test. 5. read vehicle data streams, 6. scan engine fault codes and suuport fault code DTC functions. car owners can scan and clear regular vehicle fault codes at their discretion and reduce repair costs, without going to the 4S shop or repair store. 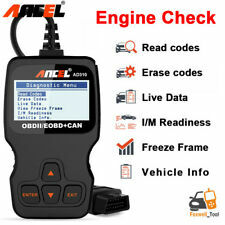 Ancel A202 Smart OBD OBD2 Gauge Scan Tool Support Car List Ancel A202 Smart OBD OBD2 Gauge Scan Tool Features Ancel A202 Smart OBD OBD2 Gauge Scan Tool Functions coolant temperature early alarm. Colors Auto Car Coat Paint Pen Touch Up Scratch Clear Repair Remover Remove Tool. New generic Car Scratch Repair Remover Pen. Shake Car Scratch Repair Pen applicator thoroughly with cap on. Remove the cap and painting on car scratching part easily. 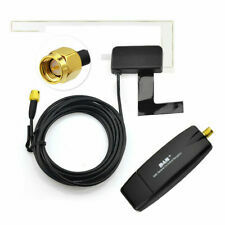 DAB/DAB Antenna Aerial Splitter Adapter Car Radio Active SMB Connector. Adopts a FPC printed antenna with high conductivity coefficient and low resistance as a reception antenna to receive DAB and DAB signal. FUSION BT100 BLUETOOTH DONGLE FOR ALL HEAD UNITS AUX RCA. Marine Bluetooth Dongle. The MS-BT100 supports live audio streaming and is accessed through the auxiliary input audio source on your stereo. Simple installation: Connect the RCA connectors to the AUX input on your FUSION marine stereo. Features:1. Supports all OBD-II Protocols (ISO15765-4 (CAN), ISO14230-4 (KWP2000), ISO9141-2, J1850 VPW, J1850 PWM)2. Works on all OBD2 Vehicles which were produced after 1966 (including VPW, PWM, ISO, KWP 2000, CAN protocols).3. 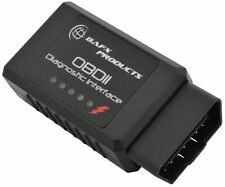 Software for ELM327 USB OBD-II auto diagnostic system is free. It allows you to use your PC and ELM327 to get various data information of the engine on your car. The software is easy to use and it supports DOS and Windows operating system.4. Bluetooth connection, convenient for connecting to laptop. 5. Reading and analyzing the fault codes. Clearing fault codes. Displaying data of sensor.Tech Specs:Color: BlackOutput protocol: RS232 serial portFrequency: 38400Operating voltage: 12V(short circuit &over current protection)Cur. Crosstour 2013. Odyssey Touring 2014. The device is connected to the 24 pin socket. Honda i-MID monitor without touch. For Skoda Fabia / Felicia / Octavia MK 1 / Octavia MK 2 / Superb. 1 OBD2 409.1 Cable. For VW Beetle / Bora / Caddy / Corrado / Golf MK2 / Golf MK3 / Golf MK4 / Jetta MK3 / Jetta MK4/ Lupo / Passat MK3 / Passat MK4 / Polo MK3 / Polo MK4 / Touran / Touareg / Transporter T3 / Transporter T4 / Transporter T5. However, we will try our best to minimize it. Compact and stylish design. Dual core cable wire used for Boat Car Auto/ Speaker/ LED Lights / Audio FOR Low voltage use only. For Led Strip 3528, 5050, 5630, 7020 etc Connector type: 2 pin Material(External): PVC Plastic(Flexible) Rated Temperature: 80°C Rated Max Voltage : 300v Max current: 10A Color: Black Red. FOXWELL NT650 OBD2 Automotive Scanner ABS Airbag SAS EPB DPF Oil Service Reset OBD 2 ODB2 Car Diagnostic Tool Auto obd2 Scanner, Professional Special Function Scanner. Foxwell NT650 Automotive Scanner Features and Benifits. Processor: ELM327 V2.1. Vehicle Coverage: Works on all OBD2 Vehicles. ISO15765-4 CAN (11bit ID, 500 Kbaud). ISO15765-4 CAN (29bit ID, 500 Kbaud). If you don't receive. All products are quality checked. 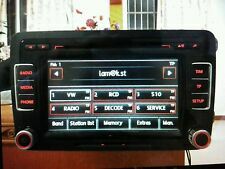 VW Volkswagen Radio Code Unlock Decode Any Radio. Fast service! Copied function can be saved permanently if not erase it manually. Simple and easy copy operation, high correct ratio for copy. 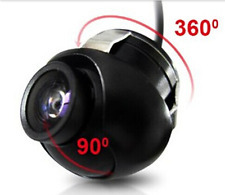 Built-in high compatibility chip, can copy over 95% infrared format on existing market. Reset the phone: Send number 444 to alarm phone. Reboot the phone: Send number 999 to alarm phone, start success after 1 minute. Sound monitoring: Send number 666 to alarm phone. Expansion Card: Mini TF card.  7A Relay. We always support technical issue after sale, Don’t worry if you are new in electronic.  PCB Size : 52.5mm x 61.5mm.  LED indicator. UC H5 HELIX 5 Cover. Durable, Easy-On Neoprene Design.